Construction projects aren’t easy, and their significance comes from factors, they will be apartments or offices – important places And they need to make a statement. The competitive pressures and economic constraints have made effective management of your project more critical than ever. Tweak the performance of your teams and their projects by using the following tips. Create a project definition document before anyone goes to work. This will help everyone involved understand the purpose of the project and their role in it. Your project definition should include an overview of the project and its scope, as well as its underlying assumptions and risks. Understanding risks and safety on the worksite is particularly important for those working the project. By planning ahead and instituting safety measures early on, you can minimize the risk of people getting hurt and filing workers’ compensation claims. Additionally, define the organization that will support and execute the project. You should also include estimates for the effort, time, and money required to complete the project. 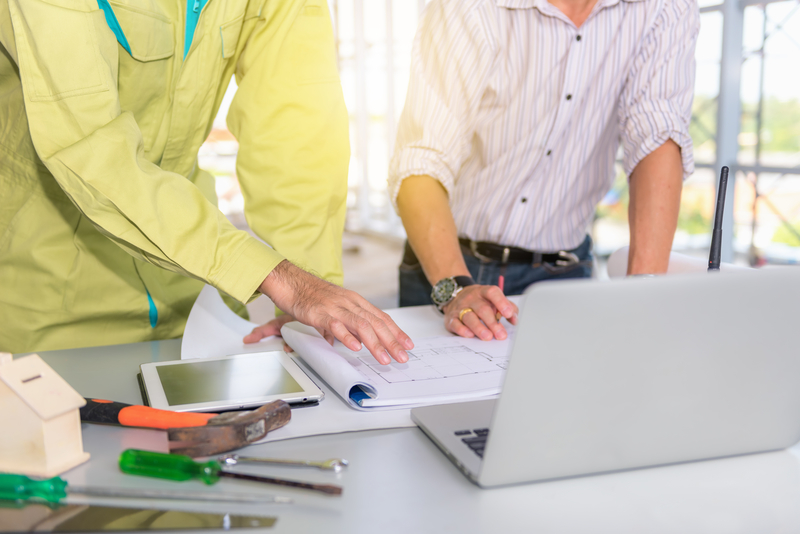 Be sure to firmly establish lien expectations so that your subcontractors and mechanics know exactly how and when they’ll get paid. Finally, make sure all stakeholders sign-off on your project definition. You can dispel many misunderstandings by merely having proof of their approval. Though, you can look at many different ways to build up and define projects, such as taking a peak at the four phases of project management. What types of construction businesses benefit most from ERP software? Usually, hardware, materials, and equipment manufacturers and distributors are among those that stand to benefit the most from ERP software. Modern technology can give you the tools needed to maintain tight control over your projects and ensure accountability. For example, ERP construction management software can take information from numerous internal process to provide managers with the analyses and reports needed to support effective decision making. Although ERP software usually has a noticeable price tag, the efficiencies it can introduce can result in the reduction of redundancy and waste. In other words, when you have the right software supporting your project, it can quickly pay for itself. In addition to ERP construction management software, a variety of targeted ERP exists to support every type of business. Assembling teams and getting projects off the ground requires a lot of effort. So does monitoring your project for schedule and budget compliance. When you have things running well, you may soon encounter your greatest threat: scope creep. Just what is scope creep? Scope creep is when you have a plan, but then that outline doesn’t really go the way that you planned – the project takes a different path that may affect your budget and deadline. The above tips may seem simple, but they can go a long way to making your projects run more efficiently. Respond right away by insisting on having a completed, approved project definition before starting work. Also, spend as much time as necessary to make sure that you and your teams have the right software for the job. Finally, identify and eliminate scope creep by running all changes through proper channels. Ultimately, you will have a successful project and boost your career.